Ultrasound is a term used to describe acoustic waves of higher frequency than audible sound. 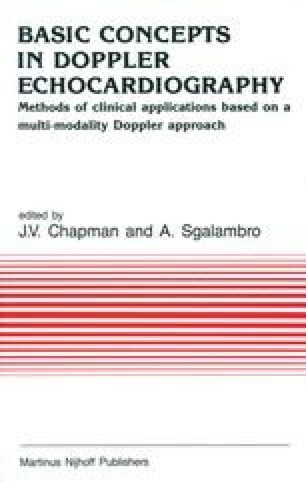 The best known traditional application of ultrasound in cardiology is two-dimensional echocardiography. In this modality, reflected sound from tissue interfaces is used to construct an image of the cardiac structures under investigation. Doppler ultrasound uses the backscattered signals from moving red blood cells to measure blood flow velocity.